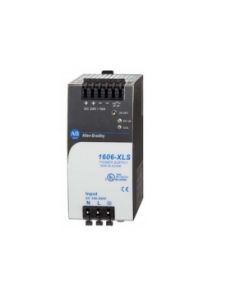 Allen Bradley Power Supply XLS 240 W Power Supply 1606-XLS240E 1606-XLS240E 24V,10A Single Ph..
Allen Bradley 1606 XLS 8 A DeviceNet Psy Power Supply 1606-XLSDNET8 ..
COMAIR ROTRON FAN, AXIAL, 40MM X 40MM X 15MM, 24VDC, 62mA 1606KL-05W-B59..
Allen Bradley Bul 1609 AC to AC UPS 390W Deluxe PS 1609-D600N..
Allen Bradley Bul 1609 UPS High Temp 12VDC Battery 1609-HBAT..
SCHNEIDER INPUT MODULE 16POINT 120VAC 170-ADI-540-50 ..
BUSSMANN FUSE 1000AMP 690VAC 170M6414 ..
BUSSMANN FUSE 1250AMP 690VAC 170M6416 ..
Allen Bradley POINT I/O 8 Point Combination Module 1734-8CFG Cat. No. : 1734-8..
Allen Bradley POINT I/O 8 Point Combination Module 1734-8CFGDLX Cat. No. : 173..
Cat. No. Description 1734-ADN DeviceN..
Cat. No. Description 1734-AENT EtherNet/IP Twisted Pair Medi..
Cat. No. 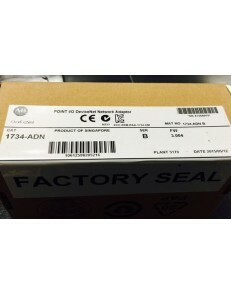 Description 1734-AENTR 2-Por..
Allen Bradley POINT I/O Extension Power Module 1734-EP24DC Cat. No. : 1734-EP24DC Input..
Allen Bradley POINT I/O 2 Point Digital Input Module 1734-IA2 Cat. No. : 1734-..